As is the case with the internet you provide, there must be limitations on who can access and use your wireless service or public computer laboratory. In public networks such as hotel, cafe, restaurant, university campus, college laboratories with varying users, you may need to offer access with greatest possible protection and authentication. Labris WAUTH+ is a HotSpot module helps to authorize and manage the guest wireless users. System can log all access by ID no, password, and IP/MAC matching. You can also define time limited internet access. 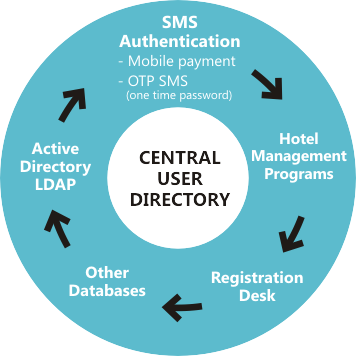 Labris Wauth+ can be integrated not only enterprise application but also Hotel Hospitality Software. 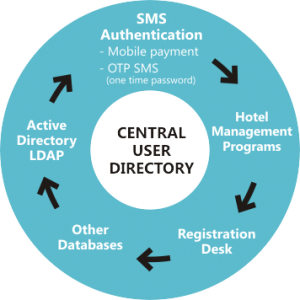 Labris Networks works through different Hotel Hospitality Software integration.